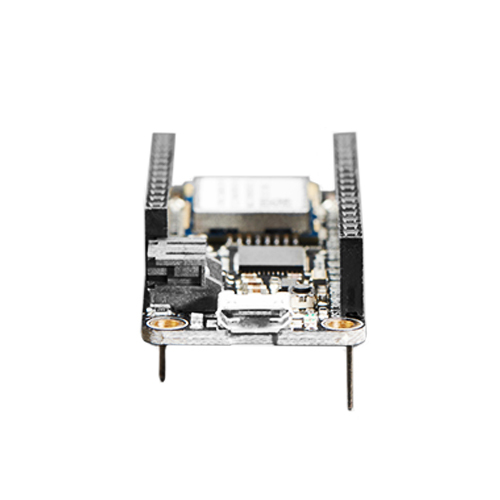 Feather is the new development board from Adafruit, and like its namesake it is thin and light. 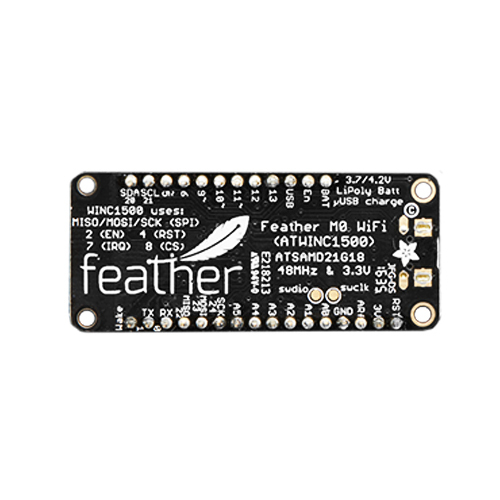 Adafruit have designed Feather to be a new standard for portable microcontroller cores. 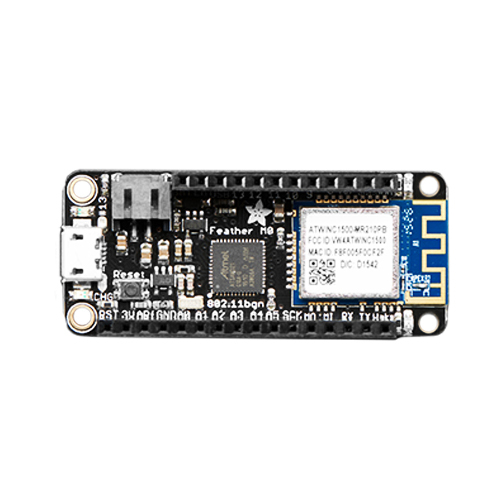 This is the Adafruit Feather M0 WiFi w/ATWINC1500 - Adafruit's take on an 'all-in-one' Arduino-compatible + high speed, reliable WiFi with built in USB and battery charging. 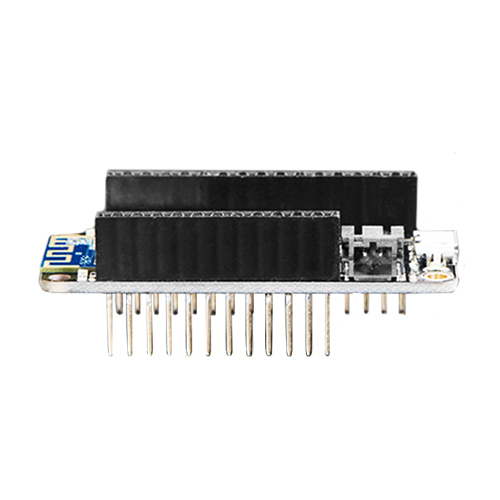 Its an Adafruit Feather M0 with a WiFi module. 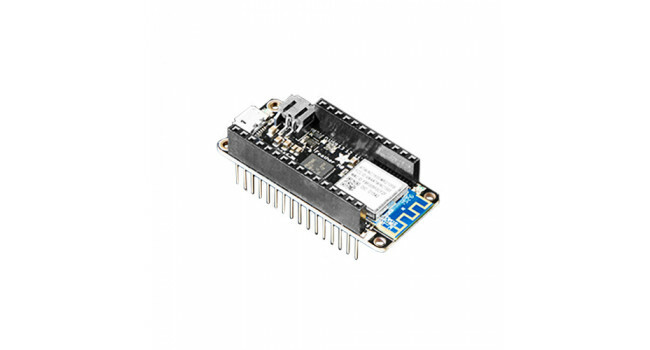 Connect your Feather to the Internet with this fine new FCC-certified WiFi module from Atmel. This 802.11bgn-capable WiFi module is the best new thing for networking your devices, with built-in low-power management capabilites, Soft-AP, SSL support and rock solid performance. This module is very fast & easy to use in comparison to other WiFi modules we've used in the past. This module works with 802.11b, g, or n networks & supports WEP, WPA and WPA2 encryption. You can connect to your own WiFi networks or create your own with "Soft AP" mode, where it becomes its own access point. You can clock it as fast as 12MHz for speedy, reliable packet streaming. And scanning/connecting to networks is very fast, just a second or two. 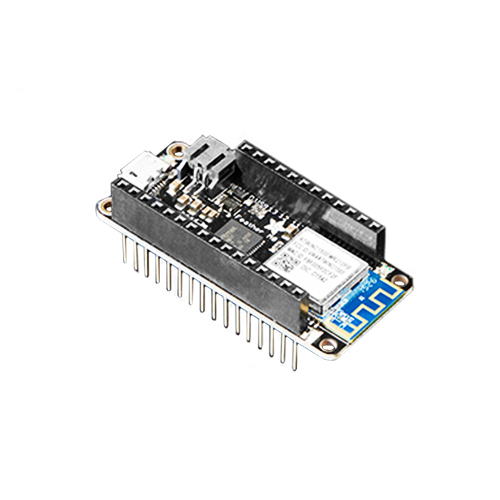 At the Feather M0's heart is an ATSAMD21G18 ARM Cortex M0 processor, clocked at 48 MHz and at 3.3V logic, the same one used in the Arduino Zero. This chip has a 256K of FLASH (8x more than the Atmega328 or 32u4) and 32K of RAM (16x as much). This chip comes with built in USB so it has USB-to-Serial program & debug capability built in with no need for an FTDI-like chip. For advanced users who are comfortable with ASF, the SWDIO/SWCLK pins are available on the bottom, and when connected to a CMSIS-DAP debugger can be used to use Atmel Studio for debugging. To make it easy to use for portable projects, Adafruit have added a connector for any of our 3.7V Lithium polymer batteries and built in battery charging. You don't need to use a battery, it will run just fine straight from the micro USB connector. But if you do have a battery, you can take it on the go, then plug in the USB to recharge. The Feather will automatically switch over to USB power when it's available. The battery is also tied through a divider to an analog pin, so you can measure and monitor the battery voltage to detect when you need a recharge.